Are you interested in crime, forensic science and policing, but unsure which subject to study? If so, you will cover them all on our course. We combine the crime scene examination part of forensic science with other crime-related subjects, such as policing and criminal justice. In the classroom, you will explore the investigative techniques used by police services, alongside contemporary issues including evidence based policing and crime prevention. You will also gain experience in dealing with a wide range of crime scenes, from burglaries to murders. Learning about the criminal justice system in the UK, you will find out how your investigation of different crimes can have a significant impact, and how to report your investigative findings to other professional colleagues. After successful completion of the FdSc Levels 4 and 5, you have the opportunity to complete the Level 6 of the BSc (Hons) to obtain a full honours degree. A Forensic Investigation student who has achieved 120 credits at level 4 and 120 credits at level 5 has three options. 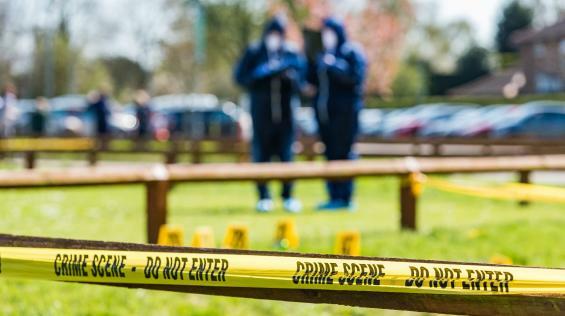 Alternatively they may choose to apply for the level 6 BSc (Hons) Forensic Investigation course as a new student in order to achieve a second qualification based solely on their level 6 credits. After successful completion of the FdSc Levels 4 and 5, you have the opportunity to complete the BSc (Hons) Forensic Investigation to obtain a full honours degree with a further year of study.